I’ve been traveling to New Mexico since I was a teenager, and I would say the flavors I tasted there contributed to awakening of my youthful palate. Blue corn tortillas with a heavenly deep red chile sauce was a favorite at The Shed, and we always made a pilgrimage to Rancho de Chimayo for the Green Chile Rellenos and sopapillas. 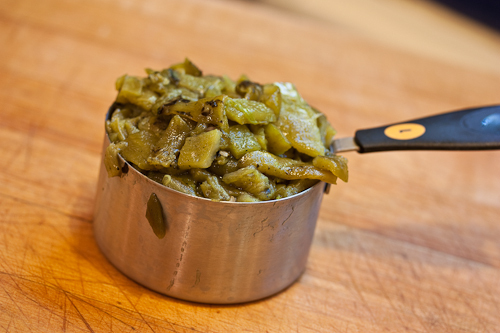 That covered the abiding question you always hear in New Mexico, “red or green?” But a standout for me was the entire green chile experience. We would go to Jackalope Pottery when Hatch chiles were in season and while they roasted big cage drums of chiles we would investigate the prairie dog village (!). The amazing smell of the chiles filled the air, and the sky was always that perfect Santa Fe blue. Then our black garbage bag full of hot chiles would be ready for us to take. We’d sort them into ziplock bags and, along with other hard-to-find ingredients like blue corn flour and ristras of dried chiles, we’d haul ’em back to Oklahoma. Hatch chiles are special. They are grown in the valley along the Rio Grande River around and to the north of the small town of Hatch, New Mexico, located between Las Cruces and Truth or Consequences. The chile varieties grown there have been consciously cultivated over decades by the local farmers as well as New Mexico State University to take advantage of the specific climate and soil conditions of the valley, and they just don’t taste the same grown elsewhere. 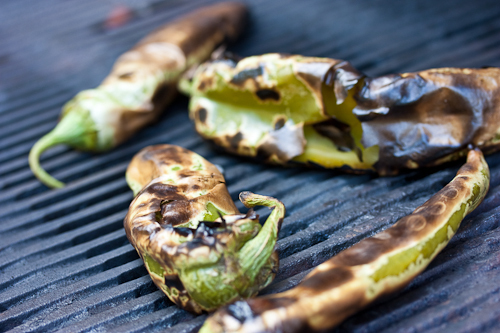 The town has an annual Festival celebrating this famous crop, and for years you could only get the fresh chiles in New Mexico. 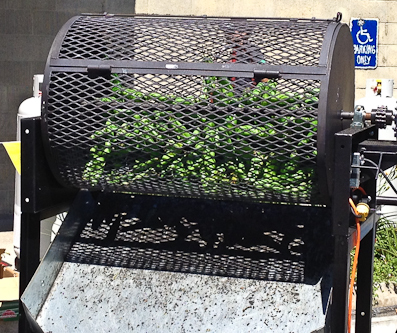 Now a number of farmers will mail you chiles (here’s another one) or they may come with a truckload to your town and roast them while you wait. 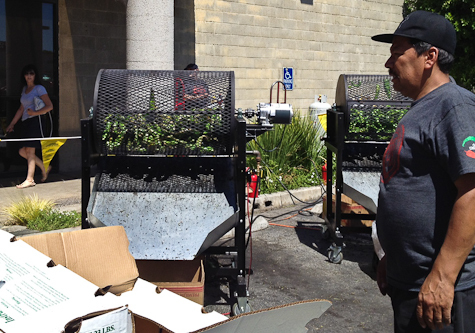 My local grocery store, Bristol Farms, invited a vendor to come and roast in the parking lot, and it was a huge hit. The chiles vary in heat from year to year, and part of the joy is to discover how hot this year’s crop will be. They are picked green for roasting — on the vine they mature to red and are braided into ristras and dried. The crushed or pulverized dried red chile is the smoky, distinctive red chile flavor so dominant in New Mexican cuisine. 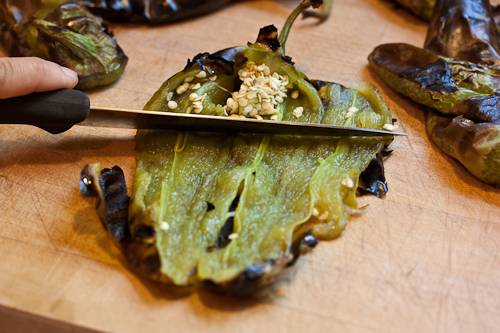 When you get roasted chiles home, take the time to remove the seeds and veins, and peel them as well. They freeze beautifully laid flat in ziplock bags (I put about 12 in a bag), with most of the air pushed out. So for me, today, the answer is green. 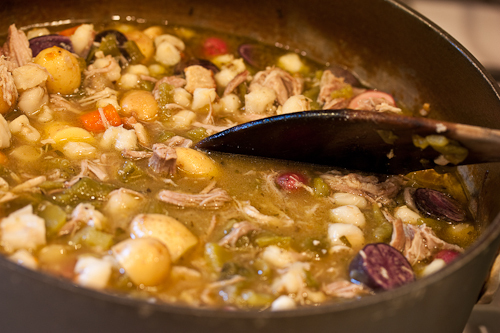 This will serve eight if you have some petite eaters, but for hearty servings it will feed six. Prepare the chiles. If unroasted, roast on the grill or over a flame until charred on all sides. Place the chiles in a brown paper bag for 10 minutes to steam. Remove and slice up one side lengthwise, opening the chile up. Using the blade side of a knife, scrape up toward the stem to remove the veins and seeds. Trim off the stem, along with the veins and seeds. 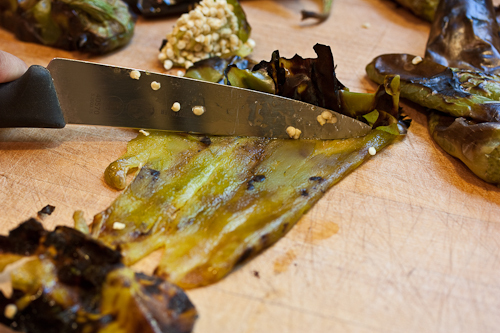 Turn the chile over and using the dull side of the blade scrape off the charred skin. Chop the chiles. You should have a one full cup and maybe a little more. 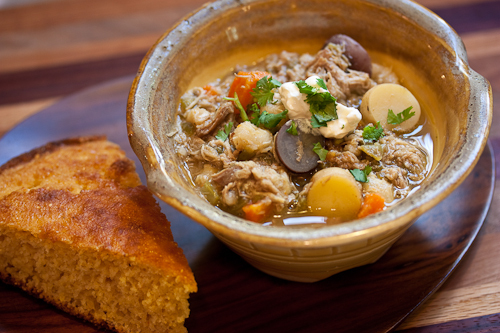 Depending on how hot you like your chile stew, you may want more or less! Preheat the oven to 325°F. Heat the olive oil in a large ovenproof stew pot over medium-high heat. Cook the bacon pieces until browned but not crisp and the fat is rendered. Remove and drain. Sear the pork pieces until browned on all sides, about 15 minutes. 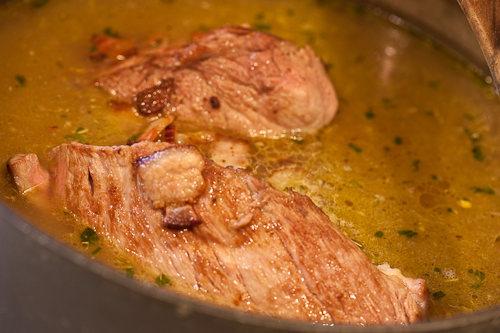 When the pork is seared, remove it to a plate. 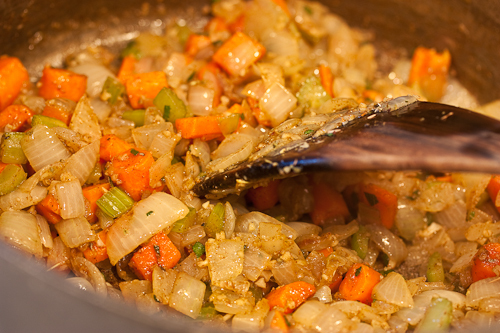 Cook the onions, carrots and celery in the pot until the onion is translucent and browning, about 10 minutes. Add the garlic, ground cumin and oregano and cook another 2 minutes. 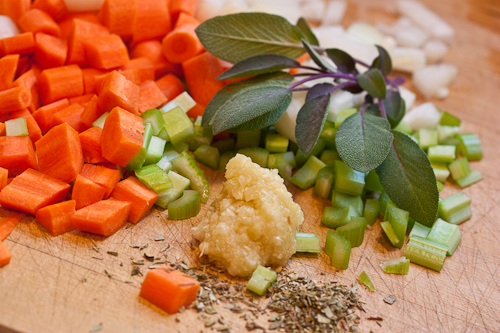 Add the chicken stock and sage. 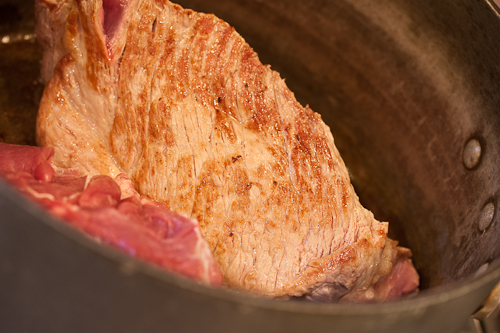 Cover the stew pot and cook the pork in the preheated oven for 2 1/2 hours, or until the pork is very fork-tender. 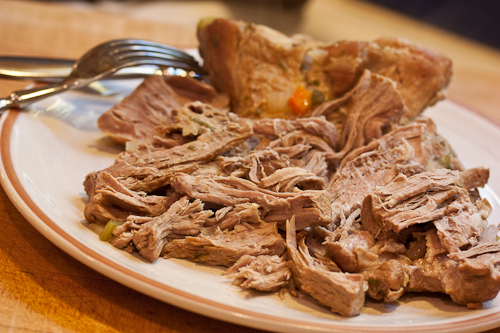 When the pork is tender, remove the pieces to a large plate. Using two forks, shred the meat into thin strips. 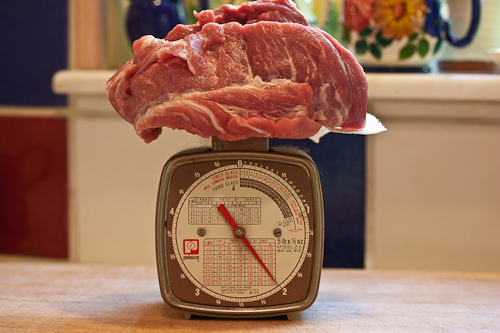 Discard any large fat pieces. 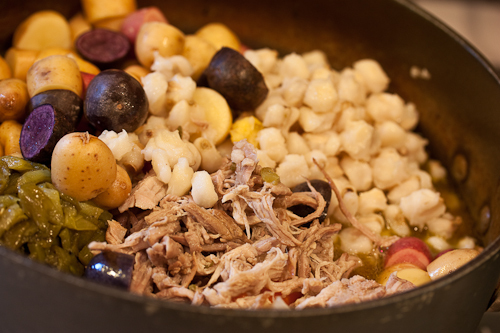 Return the shredded meat to the stew pot, along with the potatoes, hominy, roasted chiles and salt. Cover the pot and return it to the oven for another 30 minutes, or until the potatoes are tender. Serve with cilantro and sour cream on top. 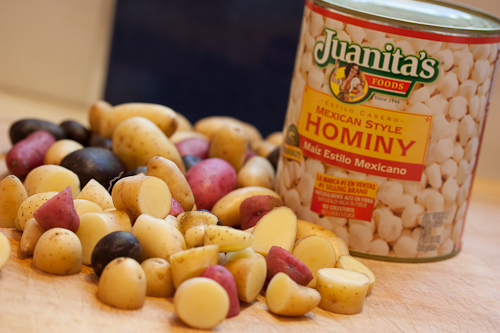 Be sure to bookmark the chile sites so you can score your own for next year! Love the write up! Thanks for promoting our wonderful chile! I did think you should probably remove hatchnm.biz from your list of recommendations though. Its a varient of nmchili.com which has a terrible BBB rating (an F). Every year, we have multiple customers complain to us (thinking we are affiliated somehow with that website) about terrible service, late delivery, etc. I’m a bit biased as I market my family farm’s chile online but the BBB isn’t. Also, we’ve re-branded ourselves (we were formerly Berridge Farms and are now The Hatch Chile Store) online and would love it if you’d be willing to update your link to us to reflect it. 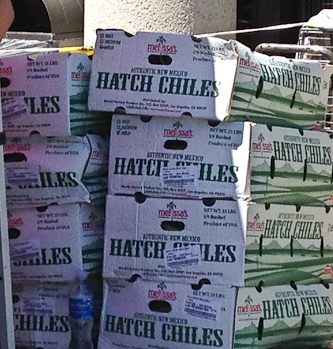 Our new website is http://www.hatch-green-chile.com. Our old site, http://hatchnmgreenchile.com redirects to the new one but we don’t plan to keep it online indefinitely so I’m trying to reach out to people who’ve linked to it.